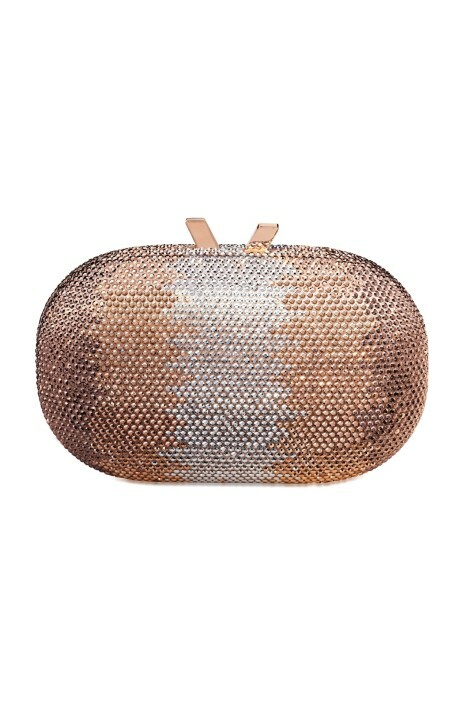 This sparkly pod features thousands of silver and gold crystals in an ombré effect. Fit to hire for any evening occasion, it looks phenomenal with dusky colours or floral laces. In a compact oval shape, it has a secure magnetic closure and a detachable rose gold chain for versatility. Read our blog post for more tips on how to transform your day look for a night out.